Our mission and goal is to EMPOWER kids to be their best selves. We teach them to live and lead from their strengths while nurturing social, emotional, academic, physical, and special needs. Our unique programs are designed to encourage respect, develop self-discipline, strengthen patience, increase physical stamina, inspire creative growth, embolden artistic talents, release tension, instill healthy life skills and help them to feel strong and motivated to become a valued member of their school, home and community. Our team custom designs each unique Get Empowered! experience. We offer a detailed needs assessment to help identify which of our components and areas of expertise are best suited to your values, goals and audience needs, as well as your timeframe, resources and constraints. We offer one-time, weekly or on-going programs at your location, and are available 7 days per week. Capoeira is Brazil's fast and graceful Afro-Brazilian art form that blends dance, martial arts, and acrobatics into one beautiful art like no other. While singing in Portuguese, with live music accompaniment, participants ‘play’ capoeira. Participants find and express their unique creative voice through body language, learn traditional and modern choreography from Africa, South America, the Caribbean, Asia, the Middle East and/or Europe. Participants explore, learn and play traditional and contemporary world music and percussion beats from Africa, South America, the Caribbean, Asia, the Middle East and/or Europe. 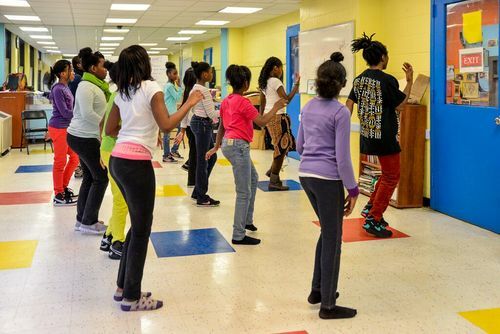 This helps them strengthen their focus, improvise, improve active listening skills, enhance communication, instill teamwork, develop patience, collaborate, and find and express their creative voice. Participants experience what it looks, feels and sounds like to be a part of a safe, inclusive space to explore, express and reflect upon feelings, identify strengths and pinpoint challenges or obstacles they face at home, in school, in the workplace or in life. Through thoughtful, encouraging conversations and coaching, individuals and groups develop confidence, self esteem and develop healthy outlets for physical wellness and emotional empowerment that allow them to overcome obstacles in creative, sustainable ways. Participants take time to get (and be) “present”, breathe, stretch, de-stress, re-charge, calm the mind, soothe anxieties, and develop life skills and sustainable strategies to reduce thoughts or habits that can be harmful to the body, mind or spirit. Ultimately, mindfulness experiences aim to help expand happiness, inspire self-worth, connection, healing and expand love. Participants explore, celebrate and embrace the diversity of everyone within the group, learn about other cultures through teachings of world history and story-sharing. 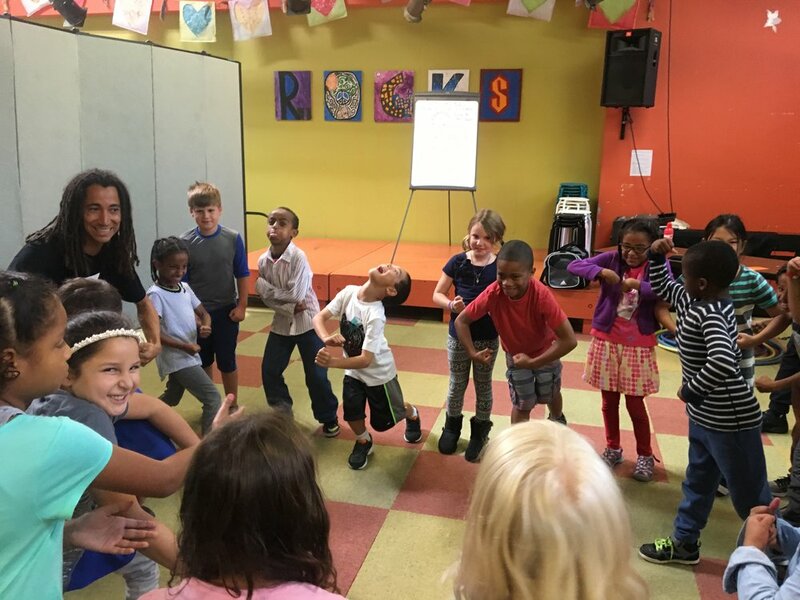 Through a variety of culturally creative arts-based activities, coaching, reflection conversations and group games, they develop a sense of connection, respect and unification to local and global communities.